I thought I’d share a bit about my writer journey today, hoping it might interest you to hear some of the background of my latest book. The third in my romantic mystery series, BLUE INK, releases on January 21st. This is the book I thought might never see the light of day. It started in the autumn of 2015 when I wrote the first half of the first draft. 2015 had been an exciting year. I met my now husband in February and I fell madly in love with him. We agreed after only six months of dating that we were predestined to be together, like we fit together in perfect harmony. We’re opposites. He’s a genius math guy and also super athletic. He’s the spreadsheet type and somewhat OCD about certain things, like making sure we have a back up of EVERYTHING. He loves to collect stuff and doesn’t think any corner of the house should be empty. I’m a book worm, nonathletic, love simplicity and minimalism and lack of clutter. He had two boys and three cats. I had two girls and two cats. We have joked that if merged into one person, we would be perfect. However, deciding to partner for the rest of our lives was the next best thing. When he proposed to me, he said before he met me he didn’t believe soulmates existed. He’s not a spiritual person. He’s a man of math and science. But because of the way we seemed to fit together so effortlessly and how he felt about me, he now believed soulmates might be a real thing. I said yes! I know, not a surprise. We were married in the summer of 2106, merging our families into one family of 4 kids and 5 cats. Anyway, back to the book. During the week of holiday break in the December of 2015, my daughters went with their father for a vacation to Oregon. I went to Cliff’s to spend the week with him. Excited to see him and forgetting everything but being in his arms, I left my laptop in the trunk of my car. In the morning, it was gone. Stolen. I had a backup of all my work, or so I thought, after purchasing an expensive external hard drive. But no. The manuscript was gone. Being me, I got right back to work on it. I rewrote it and sent it off to my editor. When I received notes back, it was obvious that it needed a lot of work. I set to it. The writing was like pulling teeth. I kind of hated the story – dark and twisted with a serial killer. Ugh. One day, after struggling for a week or two, I called my writer buddy. He advised me to put it aside and write what was tugging at me. I did so. I wrote two River Valley books and a historical romantic suspense – Miller’s Secret. I thought about going back to BLUE INK, but I wasn’t ready. Something was still off. I wrote a new series, one that had been rolling around in my head since the day Cliff and I visited the northern California town of Bolinas, California. 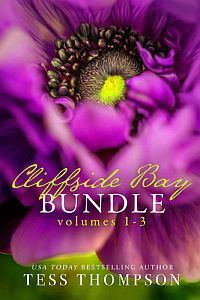 My Cliffside Bay series now has five books…all of which seemed to write themselves. And then, one day last fall, an idea popped in my head for BLUE INK. It would be about the same characters I’d always had in mind, Charlotte Wilde and Ardan Lanigan, but everything else was completely different from the original manuscript. The new BLUE INK is about soulmates. I explore the idea of soulmates and past lives and the possibility that we find each other lifetime after lifetime. There’s a 100 year old mystery told through letters and Ardan’s cantankerous mother, Mrs. Lanigan, who needs Charlotte’s big heart to pull her from the darkness. Literally, as she’s gone blind. Honestly, it’s a weird little book. Kind of like me. Kind of like the story of two middle aged people with 4 kids and 5 cats agreeing to spend the rest of our lives making up for all the years it took us to find each other. In this lifetime, anyway. This is all a long-winded way to tell you about how BLUE INK came to be. When I finished it, I told Cliff this one might be too weird for my fan base. However, I was at peace with whatever fall out came from my soulful little book because I loved it. I loved the story and my characters. This was the book it was supposed to be. The end. BLUE INK is on preorder on all major platforms if you’re interested in reading. The other books in the series are available everywhere as well. Below is a little more about BLUE INK, the links to buy, and an excerpt if you’d like to get a feel for my quirky little book. Blue Ink from USA Today bestselling author Tess Thompson is coming on January 21st. From USA Today bestselling author Tess Thompson, visit Blue Mountain yet again in this standalone tale that celebrates underdogs, family secrets, and forbidden love. Charlotte Wilde’s life is a flop. She gives her heart to the wrong men, her first published book is a failure, and now she’s dead broke too. Desperate to pay the bills, she takes a job caring for an elderly woman who is recovering from a broken hip, hopeful the position will leave her with plenty of time to focus on her writing. Yet as Charlotte gets to work, dutifully helping Mrs. Lanigan sort through a box of old letters, distractions abound. For one thing, both women immediately become consumed with a mystery unfolding in the correspondence. And to complicate matters further, Charlotte finds herself hopelessly attracted to her charge’s son, Ardan, a quiet and bookishly handsome man. 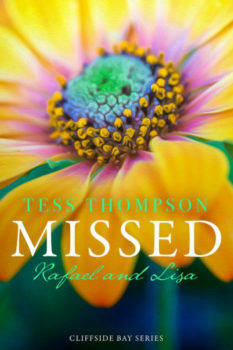 In the third volume of the Blue Mountain Series, USA Today bestselling author Tess Thompson reunites us with the Lanigan brothers, their cranky mother, and the feisty Heywood sisters. This standalone story of forbidden love and hundred-year old mystery will keep you turning pages way past your bedtime. A little before closing time, we walked to the car. The moon was a sliver in the sky, not even big enough to count as a crescent. Billions of stars lit the black night. She waited as I unlocked the car door, shivering in the chilly spring night. I grabbed my phone from my jacket and slipped it into my back pocket, then draped my jacket around her shoulders. “Better?” I asked. “Do you think you could be happy here?” I asked. “I already am.” She answered fast, like she didn’t even have to think about it. “Is that the place or the people?” I asked. I squeezed her tighter. She fit effortlessly under the crook of my arm. I would tell her some other time that God had made her to fit perfectly against my side. “Did you really say I was the girl of your dreams? Or did I imagine it?” The sparkle from her eyes mimicked the stars. Our gazes locked and held. I fell into the warmth of her brown eyes, oblivious to anything but her. This was a world that belonged only to us, undefined by time or space or even memory. The world of us. I held her precious face in my hands and kissed her gently. I’ve done this before. I’ve kissed her before under this same sky. Our bodies may have changed. But the sky and our souls remained the same.